Michael E. Smithers passed away Monday November 26, 2018 at the age of 63. He was born in Bowling Green, Ohio on February 17, 1955 to the late Clair E. (Mary) Smithers and Janice Mae Popma. He will be lovingly remembered by his wife Sandra Smithers, daughter Heather (Jason) Rosenzweig, son Jason (Lindsay) Smithers, grandchildren Ciara, Colton, Gracyne and Adelyne, sister Connie (John) Oles, his former wife Cindy Stebbins and many aunts, uncles, nieces, nephews, cousins and friends. 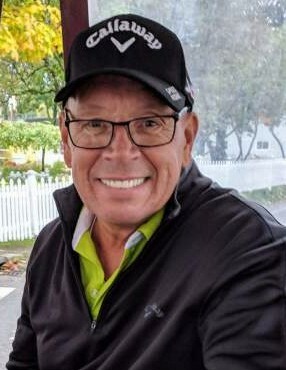 Mike graduated from Comstock Park High School in 1973 and worked for C&O Railroad, was a sales manager for 13 years with Linden Lighting and most recently worked for 22 years with Michigan Lighting Systems where he served as Vice President of Sales. For many years, Mike helped with the Rockford Jaycees and loved boating, playing golf and bowling. Per Mikes’ wishes a celebration of his life will be held at 3:00 P.M. Friday November 30, 2018 at the Metcalf & Jonkhoff Funeral Service, 4291 Cascade Rd., Grand Rapids, MI 49546 where visitation will be held prior to the service from 1-3pm. In lieu of flowers, memorial contributions may be made to the Creutzfeldt - Jakob Disease (CJD) Foundation.